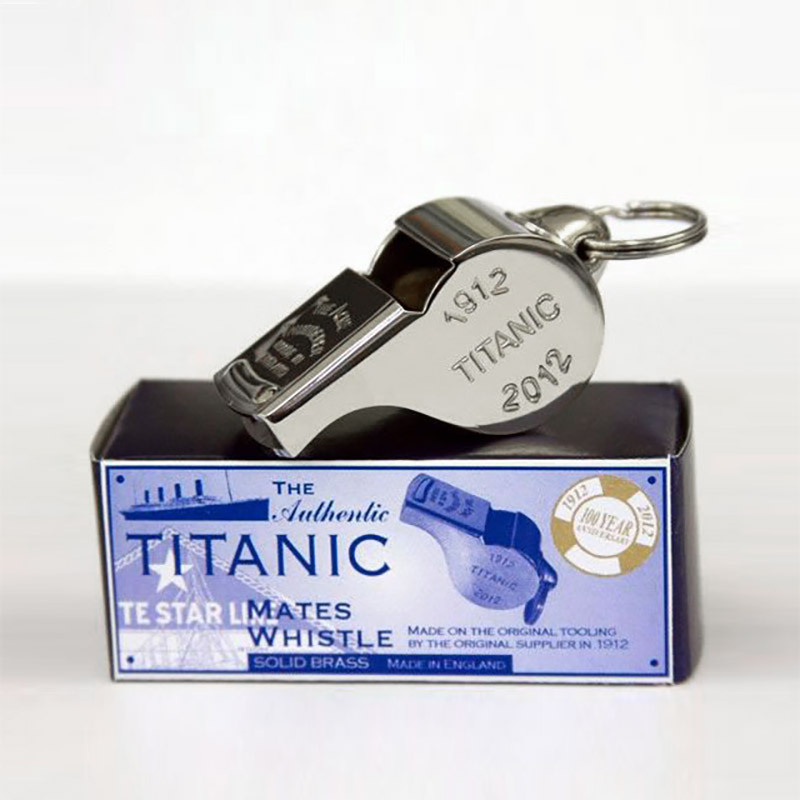 To commemorate the 100th anniversary of the legend of the Titanic, the manufacturer of the original officer's whistle has issued a very special replica of these collector's items. Crafted by Acme using the original tooling, these authentic reproductions have a solid brass body with polished nickel plated finish. They carry a date commemorating the anniversary on one side of the drum (1912-2012), and you can add your own inscription on the other side. 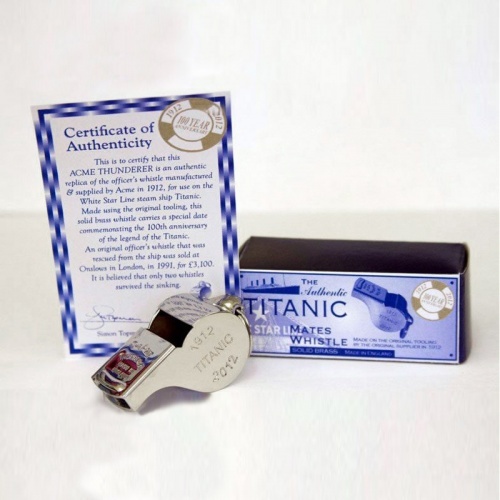 Supplied complete with Certificate of Authenticity and Acme box with Edwardian styling.